Vivienne M. Gouthro is Managing Partner of the firm’s Freeport office, and Chair of the Maritime & Shipping practice group. She is currently Co-chair of the Marketing & Business Development Committee. Bilingual in English and Spanish, Vivienne is a corporate and commercial lawyer with experience in chambers in England, Spain, Gibraltar and The Bahamas. Specialising in ship and international finance, Vivienne acts primarily as local counsel for major international financial institutions in the European and Asian markets, providing legal advice on complex international finance matters and all aspects of international maritime transactions and commercial acquisitions and sales. She also guides ship owners through the registration of pleasure yachts and large commercial vessels on the Bahamian Register of Ships. 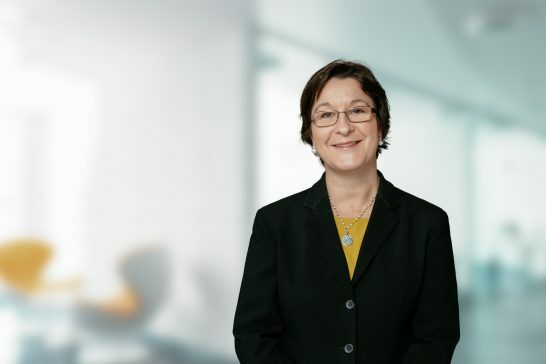 In addition to her maritime practice, Vivienne has extensive experience in commercial law, real estate and development, private client and wealth management and intellectual property law. She counsels diverse corporate and private clients in the sale and purchase of real estate and related financing, as well as on matters relating to wills, probate and administration of estates, intellectual property and immigration law. Her practice also extends to provide a full range of corporate services to clients, including the incorporation and licensing of local companies and obtaining of all governmental and regulatory approvals. She acts for major domestic banks, hotels and local institutions, and has assisted in the purchase and financing of large developments on the Island of Grand Bahama. 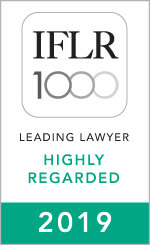 Vivienne has been ranked as ‘Highly Regarded’ by IFLR1000 (2019), the guide to the world’s leading financial law firms. Vivienne earned an LL.M. from Queen Mary & Westfield College, University of London, and a B.A. (Hons) in English and Spanish Law from the University of Kent in England and Universidad Complutense in Madrid, Spain. She was called to the Bar of England and Wales in 1993 and joined Higgs & Johnson in 1995. She became a Partner of the firm in 2002 and was called to the Bahamas Bar in 2007 when she became a citizen of The Bahamas. Acted as local counsel to international lenders regarding a corporate restructuring of numerous Bahamian entities and associated financing and conversion of loans from bilateral to syndicated loans, amending and restating the loan facility agreements and security documents including mortgages over Bahamian vessels with differing priorities and shares over Bahamian entities. Acted as local counsel to Initial Purchasers with respect to all aspects of a transaction involving the issuance of senior secured notes and all matters regarding the restructuring of a group of companies and advising on security being granted by companies in the group structure and advising on all corporate commercial and maritime related matters. Acted as external counsel with respect to a global reorganization of a group of companies which owns a large resort and advising on all Bahamian elements of the transaction including the obtaining of Governmental and regulatory approvals and effecting the share transfers. Acted as local counsel with respect to the sale of a mega resort in Grand Bahama and all related regulatory approvals. Acted as local counsel with respect to the financing of a pharmaceutical manufacturing plant in Grand Bahama. Acted as local counsel with respect to the acquisition of a stem cell therapy clinic in Grand Bahama and obtaining of all regulatory approvals. Acted as legal counsel to an international manufacturer of components for windows in Grand Bahama with respect to the acquisition of commercial land, obtaining of all approvals required for its operation and advising generally on all corporate and commercial aspects. Acted as legal counsel for a large commercial developer in Grand Bahama and providing advice on various commercial related matters. Acted as legal counsel with respect to the licensing of a yacht repair facility in Grand Bahama and maritime related advice.